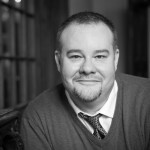 W. Zachary Taylor is the founder and lead curator of worshipcurrent.com, worship leader, songwriter, producer, organist, and consultant in his twenty-fifth year of worship music ministry. He loves challenging worship music professionals to design deeply meaningful worship experiences, healing broken ministries, pushing boundaries, and helping others. He can typically be found somewhere in Minneapolis - usually in a studio, church, or office of some kind. Zachary currently serves as Worship & Music Director at Atonement Lutheran Church in Bloomington, MN and Alternative Worship Music Minister at St. Stephen's Lutheran Church in West St. Paul, MN. Thank you Zachary for this helpful post! It has been invaluable as I’ve been preparing for our church’s advent season. May the Lord bless you and your family during the holidays! You’re very welcome, Holly. So glad to hear that it has been helpful! Blessings to you, too, this season.